This was the first time, a maiden event celebrating Social Media Day in Singapore, our very first and very own Singapore Social Media Day 2011, celebrated on the 25th June 2011 at *SCAPE ! Organised by bloggers for bloggers, tweeples and people in the social media networks, channels and circle. A day of fun and events, started with my small photography workshop sharing and an interactive hands-on interactive events photography workshop with my participants, my first time helping out at Singapore Social Media Day, even with 2 registered participants, Colin and Juliana, supported by Amanda and Sue who came down to support me whilst they are busy with their activities. Since it wasn’t my first workshop sharing, I am better prepared than last time and it was intended to be more sharing of my photography experiences, personal projects, tips and tricks and where to go take photographs in Singapore. 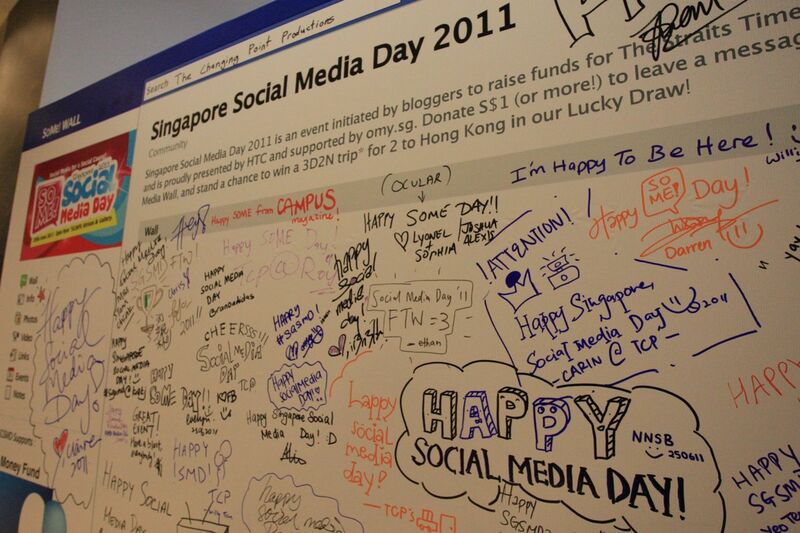 After my sharing, we went around photographing Singapore Social Media Day event, the SoMe wall, the performances and the crowds at Singapore Social Media Day 2011! I had lots of fun too, exchanging Juliana’s GF2 with my 1Dmk3, playing with the wide angle pancake lens while Juliana was testing out the high fps of the 1Dmk3! 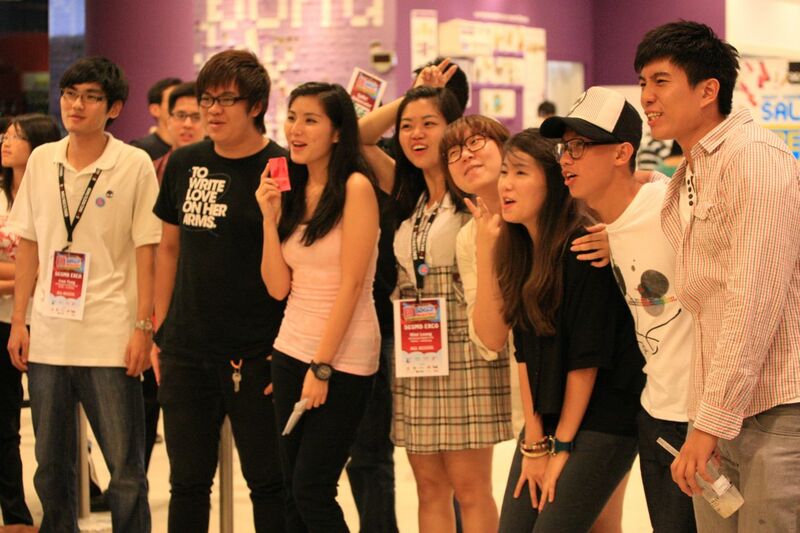 After my photography hands-on session was over, I continued to stay behind capturing photographs of the event, watching performances and making more new friends at Singapore Social Media Day 2011! The blog shops were fun and interesting, packed with nice and unique stuff for sale and some of their proceeds go to charity. Overall, it’s good to catch up with blogger friends whom I knew and met before, finally meeting blogger friends in real life and last but not least knowing more new blogging/social media/twitter friends! Do check out some of the photos uploaded into my facebook photo album! This event was organised by the bloggers forming the Singapore Social Media Day Ex-Co and I would to congratulate them on a great job! Well done and keep it up! I would also like to thank the Singapore Social Media Day Ex-Co for giving me this opportunity to do a sharing on my photography experiences and social media networking.